Recent tragic incidence of building collapse at Ita Faji, Lagos Island, has once again brought to fore the need to sensitize Nigerians on the essence of blood of donation. One of the major highlights of the awful episode was the appeal made by individuals and organizations for blood donations to victims of the collapsed building. Unsurprisingly, the Nigerian Red Cross Society was in the forefront of this request. 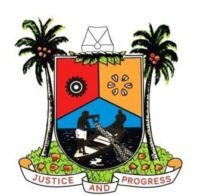 The main objective of the drive is to ensure that the Lagos Island General Hospital, where victims of the building collapse were recuperating have enough blood in the bank. Universally, when an incident like that happens, blood donation is always required to meet the demand of those in need of urgent blood transfusion. Cheerfully, according to the Executive Secretary of Lagos State Blood Transfusion Service, Modupe Olaiya, the donor turn out has been huge and quite astounding. The most impressive development about the whole episode is that some of the donors had to travel quite a distance to get to the hospital, with the sole aim of donating blood for the survivors. Perhaps, more intriguing is the fact those who could not make it physically to the various centers opened for the purpose of the exercise demanded that special arrangements be made for them. As inspiring as the attitude of our compatriots to the call to donate blood to victims of the recent building collapse in Ita Faji is, it is important to stress that blood donation is really yet to be a way of life for us in this clime. From every human perspective, the essentiality of blood to the human life cannot be overemphasized. Indeed, it could be said that blood is the life of man. The circulating blood is what keeps our immune system healthy and our heart pumping. In contemporary medical science, blood transfusions are used for various medical conditions to replace lost components of the blood. According to the United States National Library of Medicine, Blood transfusion is generally the process of receiving blood products into one’s circulation intravenously. Early transfusions used whole blood, but modern medical practice commonly uses only components of the blood, such as red blood cells, white blood cells, plasma, clotting factors, and platelets. Swift transfusion of blood and blood products can help patients suffering from life-threatening conditions live longer and with higher quality of life. Access to safe and sufficient blood and blood products can help reduce rates of death and disability due to severe bleeding during delivery and after childbirth. Voluntary donation of blood is the most common source of blood. Many countries have blood bank at which any healthy person can donate blood. WHO and the International Federation of Red Cross and Red Crescent Societies developed a global framework for action to achieve 100% voluntary blood donation around the world. The vision embodied in this framework is the achievement of 100% voluntary non-remunerated blood donation in every country of the world. It is based on the recognition that voluntary non-remunerated blood donors are the foundation of a safe, sustainable blood supply. Without a system based on voluntary unpaid blood donation, particularly regular voluntary donation, no country can provide sufficient blood for all patients who require transfusion. . It is designed to provide guidance and support to countries seeking to establish effective voluntary blood donor programmes, phase out family/replacement blood donation and eliminate paid donation. In the 2010 WHO report, Nigeria recorded 50,000 maternal deaths a year, thus placing it as having the second highest rate after India. And with every maternal death, there are more child deaths. The mortality ratio for children under -five years in Nigeria is 230 per one thousand births, 16 children less than five years die every 10 minutes. New born deaths account for more than a quarter of these deaths especially within the first week of life due to pregnancy and delivery related complications. Severe bleeding during delivery and after childbirth is a major cause of mortality, morbidity and long-term disability. However, access to safe and sufficient blood and blood products and the rational and safe use of blood transfusion still remain a major challenge around the country. The availability of low-risk blood donors in Nigeria and many developing countries is a serious challenge and of public health concern. While the need for blood is universal, there is a major imbalance between developing and developed countries in the level of usage and access to safe blood. The practice of voluntary blood donation (VBD) is high in developed countries than developing countries. WHO estimated that donation by 1% of a country population is the minimum blood required to meet a nation’s most basic needs for blood. However, less than 1% of the populations in many countries of the world most especially developing countries donate blood. In many countries less than25% of their blood supplies were from voluntary unpaid blood donor which is adjudged the safest blood source. Nigeria, as a member of The World Health Organization has made little progress with voluntary donor enrollment. Only about 5% of donor bloods used in Nigeria come from voluntary donors; family replacements and paid donors are still the major sources of donor blood procurement. The blood banking system in Nigeria is still poorly developed as a number of centers depend on paid donors whose hematological and infectious status may not determined often times prior to blood donations. A critical obstacle to achieving adequate supply of safe blood in Nigeria is insufficient consciousness among the citizenry on the health benefits of such exercise. Generally, understanding about blood donation is not still not properly enhanced. This is why many still erroneously hold the view that blood donation can be injurious to them. This, indeed, is far from the truth. In view of this, it is essential that major stakeholders in the health sector must evolve a more pragmatic approach towards sensitizing the public to the need for voluntarily blood donation. The objective is to encourage regular blood donors to continue giving blood and motivate healthy people who have never donated blood to begin to embrace the practice. As it is often said, prevention is better than cure. Hence, it is better for us as a people to evolve a culture of blood donation, rather than running from pillar to poll in search of blood in time of emergencies.